Caroline and David, Wedding Reception, Ramster, June 2018. This group are exceptional. Every interaction has been professional and courteous. 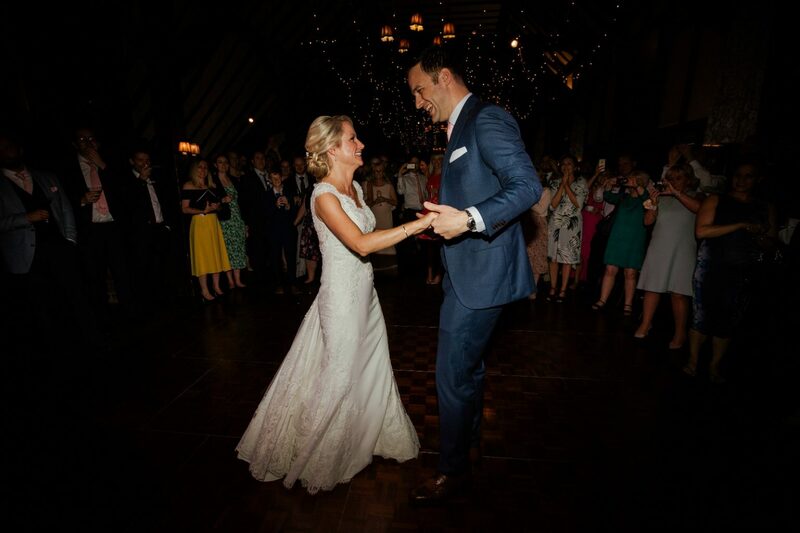 The talent on display is world beating and intricate covers are delivered with blistering harmonies and flourishes that elevate even the most over played wedding tunes. Old favourites sounded brighter, modern classics sounded more polished and resonated with an audience from 16 – 60. The dance floor was never empty. They are remarkable showmen and delivered in every respect. They bring the lighting, all the equipment and a level of talent that surpassed all expectations. You’ll worry about a lot of unimportant details prior to the wedding day yet, lock these guys in and your evening is sorted. We had a 6 piece set up with the additional (stunning) female vocals, fiddle and piano. The fiddle added an extra dimension achieving the ‘apres ski’ free for all we wanted to create. The vocals male and female are delicate and powerful across an eclectic set. Even the drummer sings! Your favourite guitar and piano riffs are faithfully recreated and they don’t just show up, they take charge. Play the game and look at what else is on offer then book them – they are not any old house band they are a group of musicians that have played together for years and read the room perfectly. Give them the freedom to create the playlist on the fly and they’ll blow you and your guests away. Worth every penny. Caroline and David, Ramster, June 9th 2018.